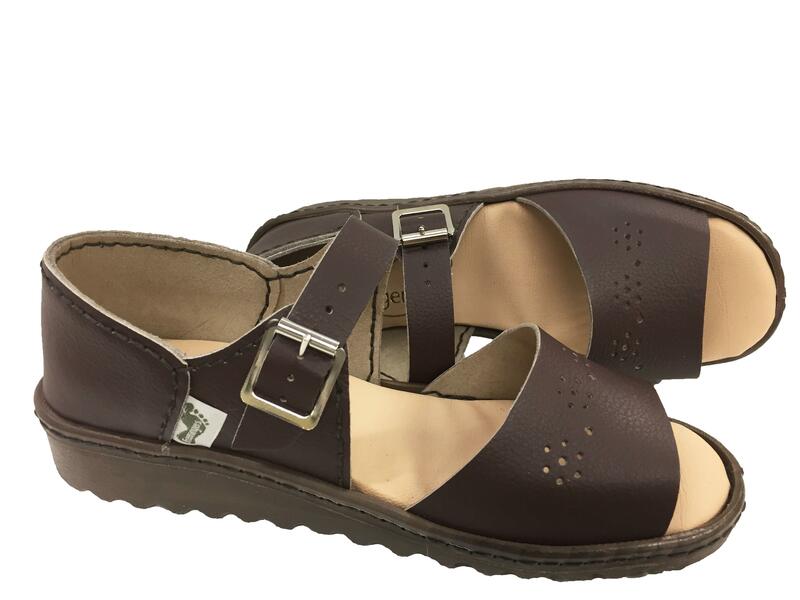 Our NEW full back sandal. Lovely floral motif on the front. Adjustable ankle strap. Shown in Nut Brown, also available in all our other colours.